Getting kids to eat breakfast is a tough job. Being a mother of two, I go through this ordeal every day. The breakfast, being the very first meal of the day, should ideally be balanced, with adequate amount of protein and veggies going into their system. 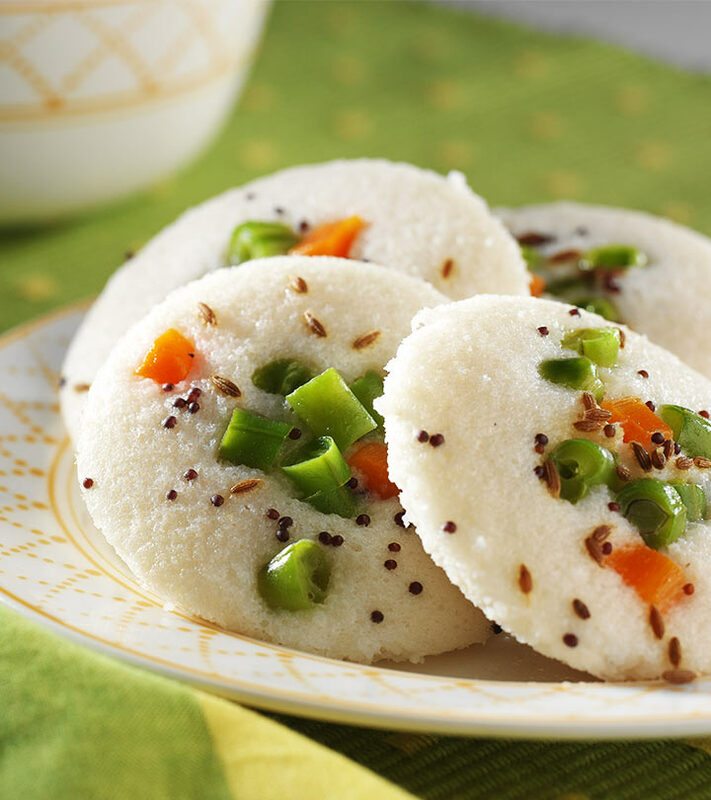 Idlis with sambar or just plain phulkas with curd will definitely be boring for kids. What we can actually do is to give a simple twist to our traditional Indian breakfast recipes – in terms of flavor as well as its visual appeal. A little effort is all that you need to lure them to eat healthy breakfast. And here are 15 such recipes that are perfect for young kids—it works for my 7 year old daughter who leaves for school at 7.30 am! There are different ways of preparing this one. The one I mention here is a balanced meal, which contains carbs, proteins, and veggies, all in one place. 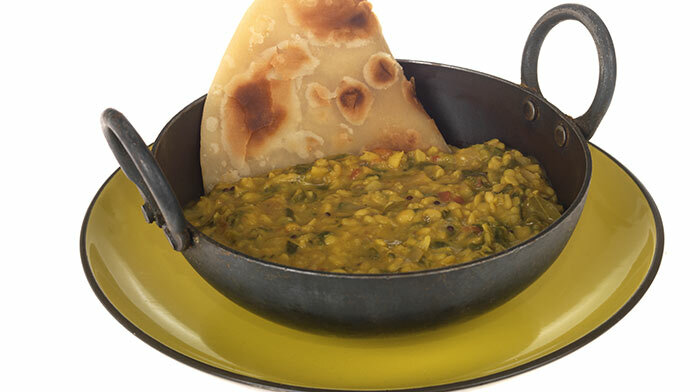 The protein comes from the moong dal [split yellow mung bean] while oats provide the fiber and carbs part. Wash the moong dal until the water used for cleaning turns clear. Roast oats on medium flame until it turns slightly golden. Soak washed moong with roasted oats in fresh water for 30 minutes. Using a blender or food processor. Grind the lentils and oats mix to a fine paste. Add salt, black pepper powder, ground cumin seeds, chaat masala, and asafetida and stir it. Mix in grated carrots and coriander leaves. Adjust the consistency, so that the mixture becomes like a pancake batter. Heat a griddle, after brushing mildly with oil, on medium heat. Pour a large ladle full of batter on the middle of the griddle and spread out in concentric circles. Sprinkle a little oil, cover, and cook for about 2 to 3 minutes or till the bottom portion turns golden brown. Uncover, flip over and cook for 2 minutes more. Serve hot with fresh curd with a sprinkle of chaat masala or alongside tomato onion chutney. This is my daughter’s favorite and she doesn’t make any fuss while eating it. It is a good choice for a kids’ lunch too. Knead the whole wheat flour with salt and make a dough by adding enough water. Knead again and divide it into 10 portions. Roll out each portion to the maximum thinnest level. Cook on a preheated griddle and keep aside. Add oil and clarified butter to a medium sized preheated deep pan or kadai. As the oil gets heated, add cumin seeds and allow it to splutter. Add onions and green chilies. On medium heat, sauté onions until turn deep golden brown. Add half of the chopped coriander leaves and give a quick stir. Add sliced tomatoes and cook until there is no more moisture left in the mixture. Add kasuri methi leaves and cook for a minute more. Add crumbled paneer and cook for 2 more minutes on low flame, stirring intermittently. Adjust the seasoning, turn off the flame. Divide the filling into 10 equal portions. Take a phulka and apply ¼ tsp clarified butter atop it. Place the filling on one end of the roti and roll akin to Swiss rolls. Cut into pieces and serve hot alongside coriander mint chutney or dates chutney. Kids love anything that comes with potatoes. Why just kids? All of us love potatoes! 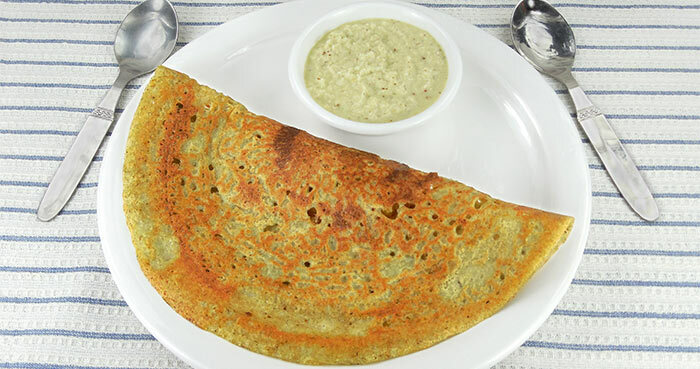 This one is a healthy twist to the classical South Indian breakfast recipe – Masala Dosa. I have used a combination of potatoes, carrots, cauliflower, and peas here for the filling. 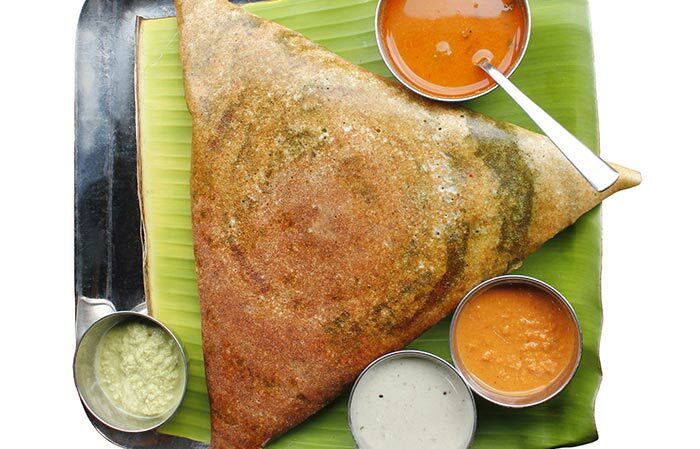 The dosa batter is made from whole wheat flour. Mix the flours well using a spoon. Add enough water to make a batter of pouring consistency. Add salt to taste and keep aside. Wash the veggies thoroughly, sprinkle turmeric powder, add a little water, and pressure cook for 3 whistles. Uncover the cooker, take out the veggies, mash partially using a wooden masher and keep aside. Place a medium sized kadhai on medium heat. After mustard seeds spluttering, add chana dal and curry leaves. Ssauté until the dal turns slightly brown. Add onions and green chilies and sauté until the onions turn golden brown. Add mashed veggies and salt and mix well for even distribution. Cook for a minute more, add coriander leaves and give a quick mix. 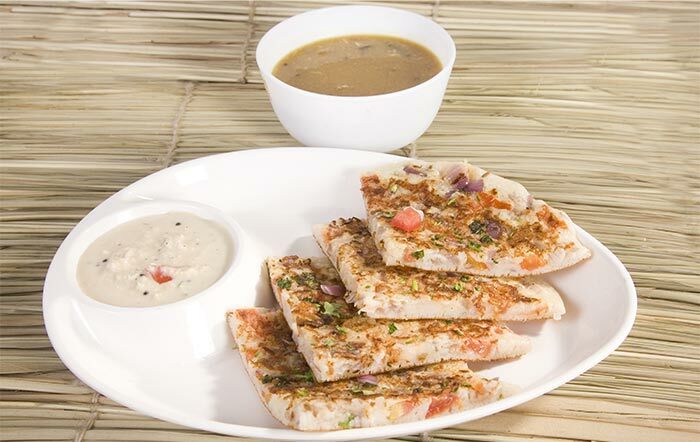 Preheat a non-stick tawa on medium heat by brushing it evenly with a little oil. Pour a ladle full of dosa batter and spread out in concentric circles. Cook for a full 3 minutes on medium to high heat or until the bottom portion turns golden brown. Flip over and cook for 2 more minutes on low to medium heat. Take about 2 tbsp of the masala filling and spread on one side of the dosa. Using the spatula, roll the dosa like a Swiss roll. Turn upside down and cook for 30 seconds. Serve hot along with a chutney or ketchup. 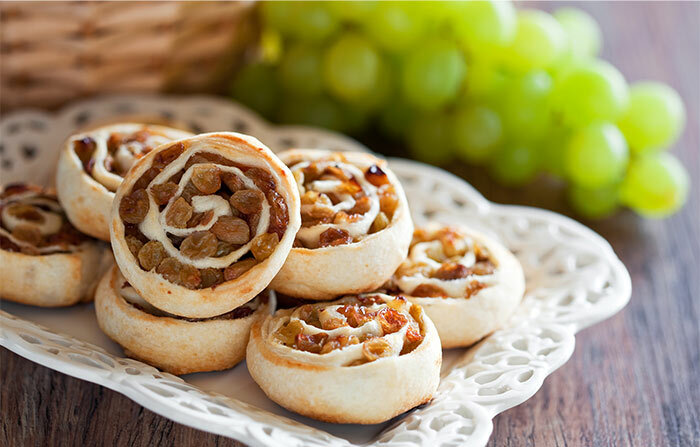 This one is a classic breakfast recipe that doubles up as a snack as well as lunchbox delight. Try it yourself! In a large mixing bowl, add crumbled paneer, coriander, green chilies, black pepper powder, and salt. Using a spoon, mix well to ensure even distribution of flavors. Sauté onions in about 1 tsp oil until golden brown and keep aside on a kitchen tissue to drain excess oil, if any. Melt butter and brush it atop all the bread slices. 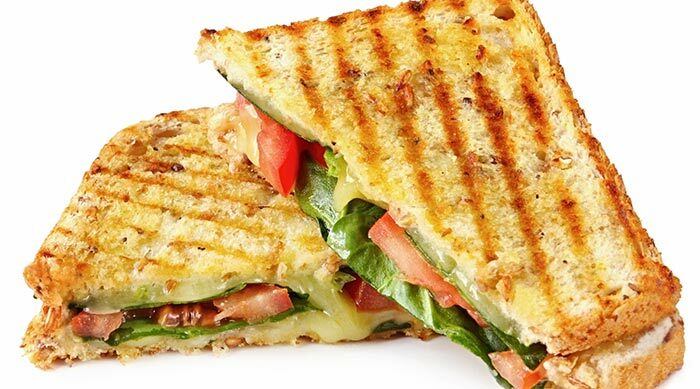 Divide the paneer into 12 equal portions and place one portion each atop 6 of the buttered bread slices. Sprinkle a little chaat masala atop it. Place the sliced veggies above paneer and drizzle a few drops of tomato ketchup on the veggies. Place one portion each of the leftover paneer filling above this and cover with a buttered bread slice. Place the bread slices in the sandwich maker, sprinkle a little butter or oil, and toast until both the sides turn golden brown. Serve hot with tomato ketchup and a spicy coriander mint chutney. 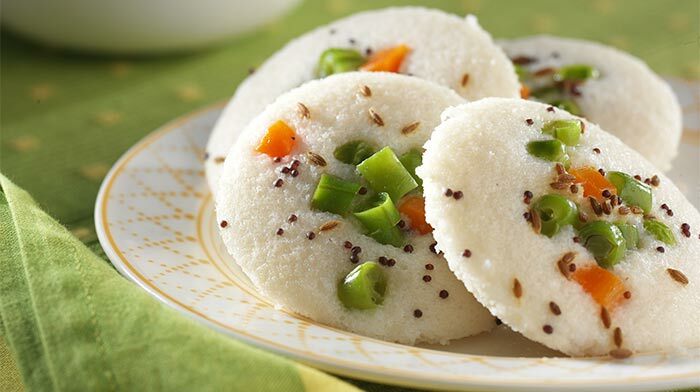 Idlis as such make wonderful breakfast options. These steamed delights are quite often served with various types of chutney or a spicy mix lentil powder along with oil. Here I have made them into bite-sized breakfast options with the goodness of carrots and coriander. Make sure you serve them along with 6 almonds and a glass of milk for a complete meal. Soak idli rice and urad dal separately for 3 to 4 hours after washing thoroughly in clean water. Grind rice with water in a food processor or blender until it becomes smooth. Grind urad dal with a little water. Add more water when required to make the batter fluffier. Mix both the batters and season with salt to taste. Keep aside for about 8 hours to allow fermentation. Saute onions in a little oil until it becomes golden brown. Add carrots, onions, green chilies, and coriander leaves along with the spice powders to the idli batter. Grease the mini idli pans with very little sesame seed oil. Add a tbsp each of the batter on each of the space in the plates. Steam for about 10 to 12 minutes or until a toothpick inserted in the centre of the idli comes out clean. Prepared using whole wheat flour and flavored with jaggery, this sweet breakfast option comes with the goodness of whole carbs plus iron. Just toast a handful of almonds in clarified butter and chop them into fine slices to be used as a topping for that protein dose. In a deep pan, melt jaggery in 1½ cups water on medium heat. Filter to discard impurities. In a large mixing bowl, place whole wheat flour. Add the melted jaggery to water. With a wire whisk, mix the ingredients thoroughly to form dosa batter without any lumps. Add more water, if required to get the batter consistency. Preheat a non-stick tawa on medium heat. Brush it with a little oil. Pour 1/8 cup of the batter onto the tawa on medium flame. Too much of heat will disallow the batter to be spread out into concentric circles. Spread out like dosa. Drizzle clarified butter and cook for 3 to 4 minutes on medium flame or until the bottom side turns golden brown. Flip the dosa, lower the flame and cook for 2 to 3 minutes more. Serve hot with ghee or butter, toasted almonds, and freshly sliced fruits. 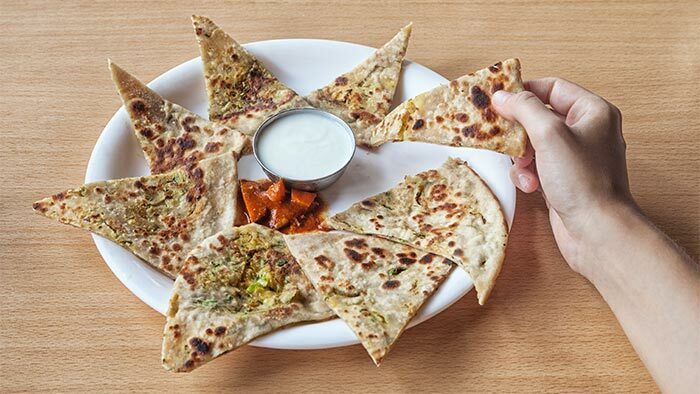 Aloo paratha is a favorite breakfast choice among the people from North and West of India. Here I have adjusted the recipe to include paneer for the protein portion. Serve with curd for added dose of protein. 1. Knead the flour with water to make a smooth dough. Cover it and keep aside. Add onions and sauté until it becomes golden brown. Add red chili powder and give a quick stir. Add mashed potatoes and paneer. Cook for a minute or two. Remove from the heat and transfer to a plate and cool. Divide the dough into 10 equal sized balls. Take one ball and dip in whole wheat flour. Roll out into a thick circle. Divide the panner aloo mixture into 10 equal portions. Place one portion at the center of the circle and enfold and seal the circle like an envelope. Dip the ball into the flour again and roll out gently into a thick circle. Brush a griddle with a little oil and heat it on high flame. Lower the heat to medium to high. Place the paratha on the tawa and cook until the bottom portion gets brown spots. Keep turning the paratha, pressing the edges with a spatula to ensure even cooking. Apply a little clarified butter or oil on the top and flip over. Cook for 2 more minutes or until that side gets brown spots. 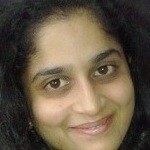 Serve hot with curd and mint garlic chutney. Made with cracked wheat, this makes a wholesome breakfast. Keep the veggies chopped the previous night to simplify your task. You can even add ¼ cup of roasted moong dal for making this a balanced meal. Roast the cleaned and broken wheat on medium flame until slightly warm. Roast the cleaned and dried moong dal until it becomes light golden brown. In a small pressure cooker, heat the oil. Add mustard seeds and allow to those to splutter. Add urad dal and curry leaves and sauté until the dal turns golden. Add onions, ginger and green chillies and sauté until the onions turn brown. Add capsicum and sauté for 3 more minutes. Add other veggies and peas and give a quick stir. Add broken wheat and moong dal and mix well. Add water, necessary salt, and turmeric powder. Bring it to a boil. Cover with lid and pressure cook for 2 whistles. Sprinkle coriander leaves and serve hot with chutney of your choice. This is one of the simplest breakfast options you can try. 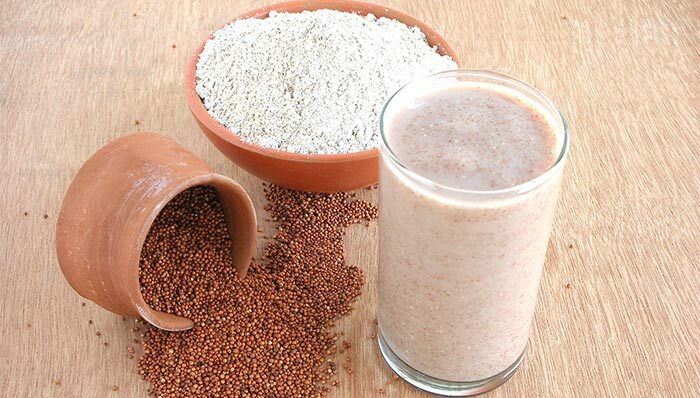 Made with finger millet powder and milk, this is one of the first solid foods that Indians give to their babies. A wholesome choice for a great meal, it comes packed with calcium and iron. Do not forget to mix in roasted almonds and walnuts for protein while serving alongside apples. Dry roast ragi flour on medium flame for about 4 minutes to eliminate its raw flavor. Add water to ragi flour to make a batter like mixture. Place this mixture on low to medium heat. Stir continuously and cook until the ragi gets a sheen. Meanwhile, in a smaller sauce pan, add about 1 tbsp powdered jaggery to 1 tbsp water. Heat until the jaggery starts melting. Filer this melted jaggery water into ragi and stir until mixture thickens. Sprinkle cardamom powder. Give a quick mix and turn off the heat. Add milk as required, mix well, sprinkle nuts and fruits. Serve hot. If your kid is similar to my daughter, then this one is sure to satiate her sweet tooth cravings. Packed with the goodness of dates and almonds, this whole wheat and oats rolls are the sweet variants of the traditional kathi rolls. 1. Knead the flour with water to make a smooth dough. Cover and keep aside. Add clarified butter to a preheated kadai, kept on medium flame. Add oats and roast on low to medium heat until the oats turn golden and loses its raw flavor. Add dates and cook until it turns pulpy and loses its raw flavor. Add almond powder, cardamom powder, and dry ginger powder. Mix quickly. Take one ball, dip in whole wheat flour, and roll out into a thin circle. Cook both sides on a preheated skillet, kept on medium flame. Repeat the same until all the 10 chapathis are made. Take one chapathi, spread ¼ tsp ghee on it, and place one portion on the filling along the sides. Roll the chapathi like a Swiss roll. Place on the skillet and cook for two more minutes. Serve hot with honey drizzling over the rolls. All kids love noodles. Why not give their favorite Maggi noodles a twist by serving homemade rice noodles packed with veggies? It is not a tedious job at all as you get instant rice noodles in the markets. Just follow the instructions on how to cook it. The rest is easy to follow. Mix vegetables – 1 cup [carrot, beans, and peas washed and pressure cooked for 2 to 3 whistles in very little water]. Sambar powder – 1 tbsp [you can use any spice powders of your choice. I use homemade sambar powder, which is a blend of coriander seeds, tuvar dal, gram dal, red chilies, and a little asafetida]. 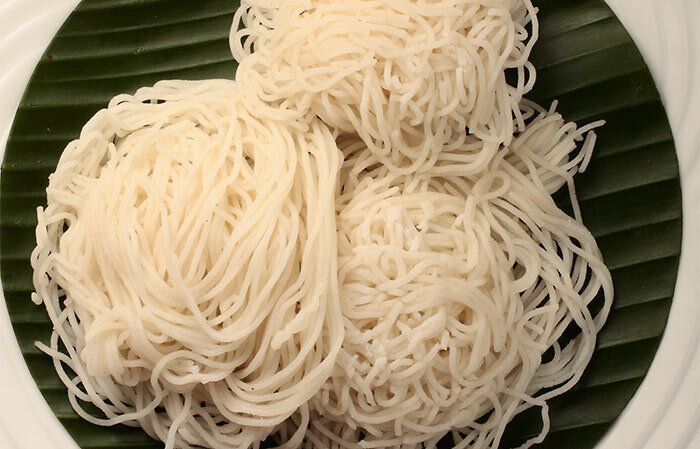 Follow the instructions given on the Sevai/Idiyappam packet and cook al dente. In a deep, large kadai, heat cooking oil. Add mustard seeds and allow to splutter. Add curry leaves and green chilies and give a quick mix. Add cooked veggies, turmeric powder, sambar powder, and salt and allow to cook until the moisture is completely absorbed. Adjust the seasoning. Add the dried vegetable mixture to a wide pan. Add drained sevai to the vegetable mixture and toss evenly. Alternatively, you can use a flat spoon to ensure even mixing. 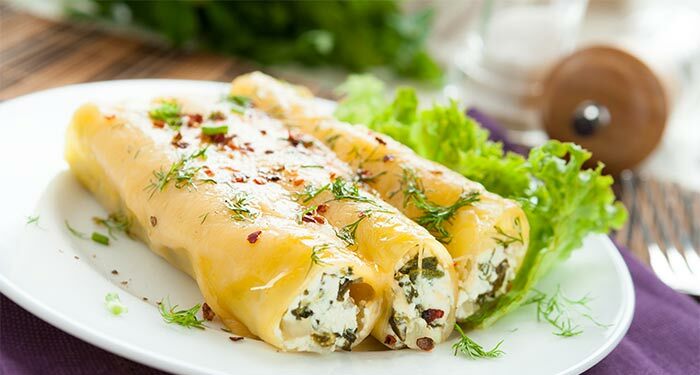 Garnish with coriander leaves and serve with a dollop of butter on the top. Parathas are filling. And, when it comes with a dose of high nutrients from spinach and corn, words know no bounds. Blend green chilies with ginger to make a smooth paste. Mix wheat flour with ginger-green chili paste, spinach, corn, and salt in a bowl and knead to a smooth dough with required amount of water. Pat a little oil, knead again. Cover with a damp cotton cloth and keep aside for 10 minutes. Divide the dough into 10 portions. Roll each one into thick circles. Place one roti on a flat surface, sprinkle a little crumbled paneer, cover it with another roti after spreading the paneer evenly. Seal the edges by pressing gently. Cook on a preheated non-stick pan until brown spots appear on both the sides. Paneer is a good source of protein. 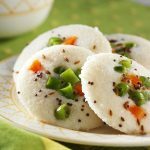 This Indian cottage cheese is so versatile that you can mould its flavor and shape to tempt your kids to eat breakfast. In a deep kadai, heat oil and allow cumin seeds to splutter. Add onions and green chilies and fry until golden brown. Add spices and give a quick mix. Add crumbled paneer and coriander leaves and cook for 2 more minutes. Mix water with wheat flour and salt to make a batter of pouring consistency. Heat a griddle and brush a little oil. Pour ¼ cup of batter on the griddle kept on medium heat and spread out in concentric circles. Drizzle a few drop of oil and cook until the bottom portion turns golden. Flip over and cook for 2 more minutes. Once again, flip. Take about 1 tbsp of the filling and spread it on one side of the dosa. Fold dosa into half and press the edges. Serve hot with spicy mint coconut chutney. 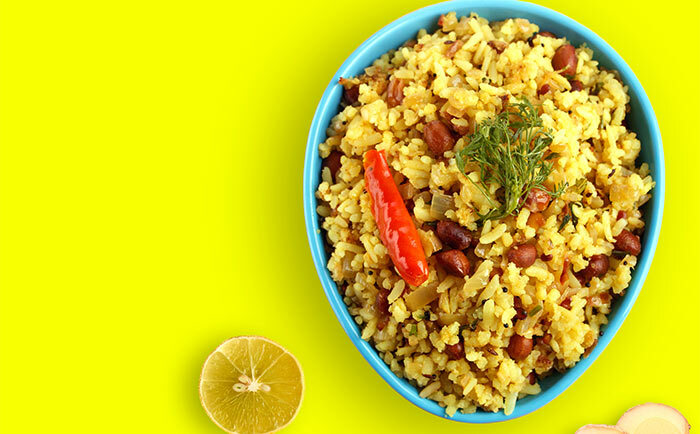 Poha is tasty and can be prepared easily. 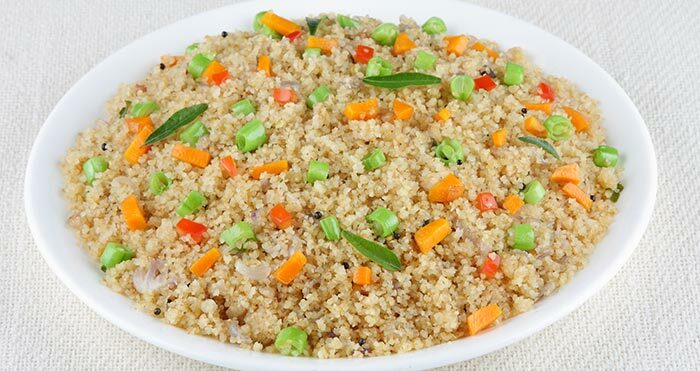 Just make sure that you have the veggie handy to zest up the health quotient of the breakfast. The peanuts and peas give the protein. Serve it with curd garnished with chaat masala. Wash poha thoroughly with water, drain well, and keep aside. Heat oil in a deep wok, add mustards and allow those to splutter. Add peanuts and sauté until they get roasted nicely. Add onions and chilies and sauté until the onions turn golden brown. Add grated potatoes, carrots, and peas and curry leaves and sauté for 3 to 4 minutes or until the veggies lose their raw flavor. Sprinkle turmeric powder and season with salt. Stir well and cook on low falme for 5 miutes. Turn off the heat and add lemon juice. Give a quick mix. 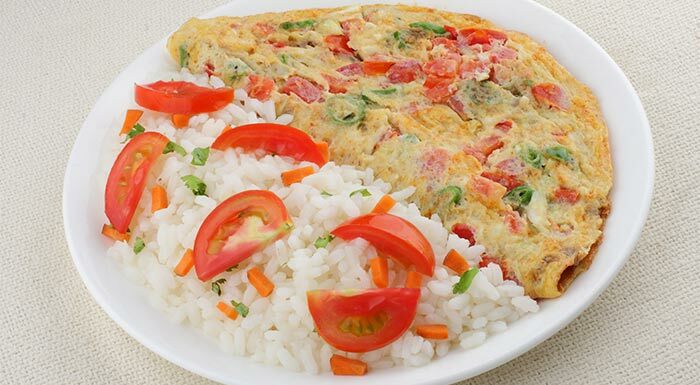 You can use leftover rice to prepare these tasty and healthy meals. And, it can be packed into the lunch box or even sneaked in as a snack. The best part is that they look like omelets. In a large bowl, add all the ingredients except oil. Using a flat spoon, mix well. Add water and mould into a smooth dough. Divide the dough into 12 equal portions. Place one portion at a time on a damp cloth. Cover it and using your hands shape them into circles. Heat a non-stick griddle on medium heat and brush a little oil onto it, greasing out evenly. Place the spread out portion on the griddle and cook until the bottom side turns golden brown. Flip carefully using a spatula and repeat the same with the other side too. 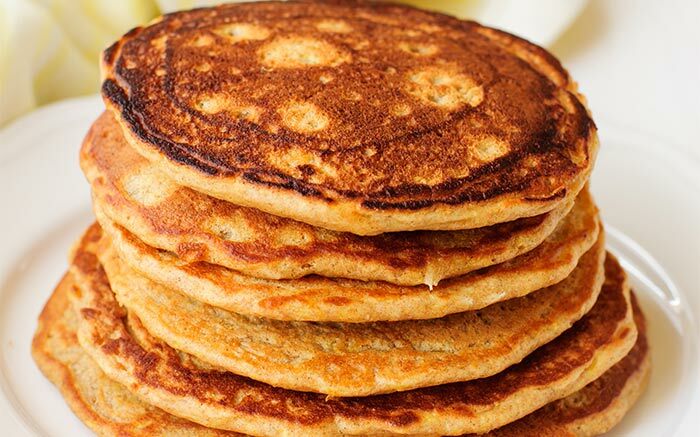 These are 15 of the mind boggling Indian breakfast recipes that have been styled to meet the requirements of your kids. Adjust the spices and veggies as per your requirements and carve shapes to make them even more visually pleasing. These recipes are sure shot winners, even with the fussiest of eaters! What are your choices for a kids breakfast? Share your recipes with us in the comments section below.